A GAMER'S WIFE: Prepping for Aquashella - My First Fish Convention! Prepping for Aquashella - My First Fish Convention! Hi, it’s A Gamer’s Wife, here with my last Wed post for a while. At the beginning of the year, I challenged myself to release two articles per week for the month of January as an experiment, and the conclusion is that I’m definitely not ready to increase my upload schedule permanently. :) So starting in February, I’m going back to my regular once-a-week Saturday releases that you can always expect. 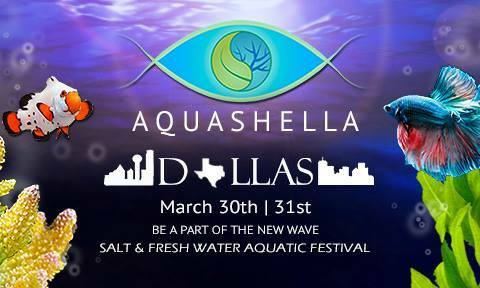 For my final bonus post of January, I’m going to talk about my preparations for my first fish convention, Aquashella in Dallas. It looks like so much fun, and I really hope to learn a lot and come back with some cool swag. But I definitely have a few unique challenges since my channel is semi-anonymous and there’s sure to be a bunch of FishTubers and their fans there. So how do I keep my privacy while still enjoying myself? First off, I’m probably not going to be wearing sunglasses inside the whole time, so inevitably my face will probably show up on camera somewhere. (True face reveal?!) 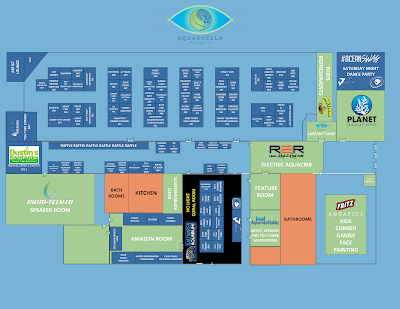 Maybe what I’ll do is explore all the booths on my own first, catch some footage, and then by the end of the day, I’ll introduce myself to the FishTube booth and let come what may. I still don’t plan on sharing my real name, so I guess if you meet me in person… you can call me A Gamer’s Wife? AGW? Comment below if you have any suggestions. Anyways, I happened to get Rachel O’Leary’s shrimp girl shirt for Christmas, thanks to my BFF! (It’s like she watches my video or something...) So now I have something for people to sign. But I heard Aquarium Co-Op usually gives away free shirts as well, so maybe I’ll be lucky enough to get one and see Cory McElroy (and his wife Katie!) in person. 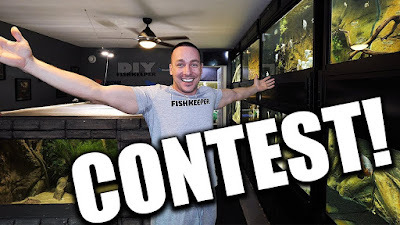 I’m not sure who all is coming, but I know the King of DIY is holding a contest to bring a lucky fan to Aquashella, so you have until Feb 10, 2019 to make a video to enter (#not sponsored). As an introvert, I’m kinda both excited and nervous about going, but Sean from pecktec told me whenever he starts feeling overwhelmed at conventions, he just grabs someone to film an impromptu interview. So, thanks for the advice, Sean! Anyway, I know I’m not a big creator by any means and it’s probably a one in a million chance that I’ll meet someone who watches my videos, but if you see me, please come say hi! This is my first convention and I don’t know when I’ll be able to make another one, so I’d definitely love to meet y’all if I can. If you haven’t already, follow me on Instagram where I’ll be posting real-time updates at Aquashella. Take time to enjoy your aquariums and I’ll see you in the next article!